In California, Ranch Dressing is a bit of an obsession. A burger and fries just ins’t complete without a side of Ranch for dipping. When I worked at a Chili’s in college, I thought I would write a book about my time as a food server/bartender and call it, “Life with a Side of Ranch.” Seriously. Valley girls love their Ranch. And sure, the stuff you can buy is great. But there’s nothing like the taste of fresh and homemade. 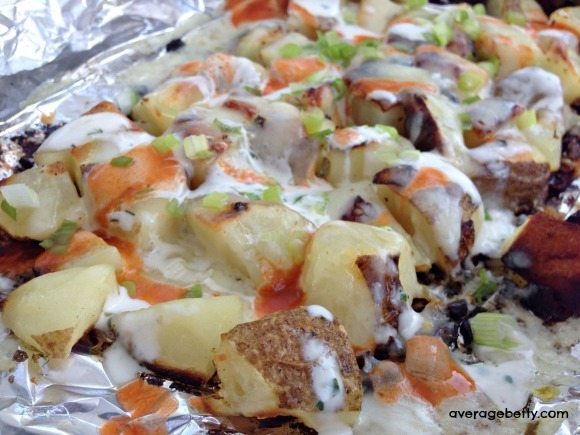 Use your homemade Buttermilk Ranch Dressing to make Buffalo Ranch Packet Potatoes! Hey dudes! 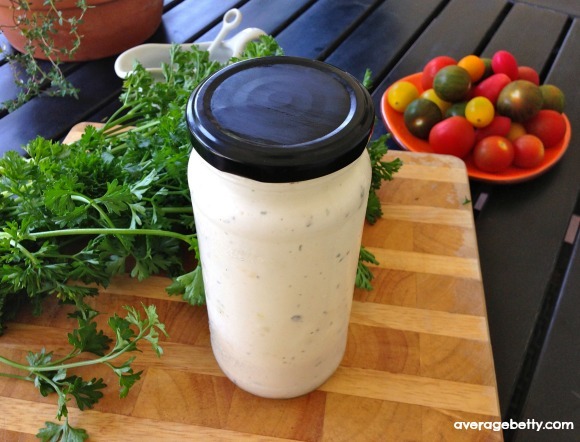 Shake up your salad routine with homemade Buttermilk Ranch Dressing! 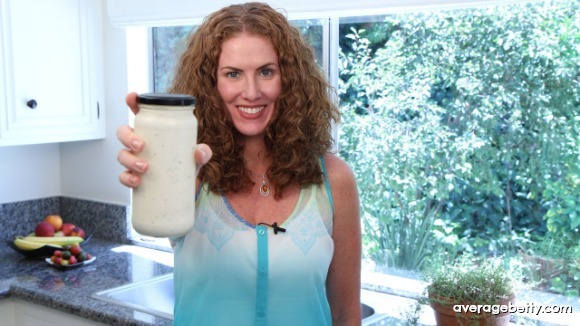 Get the Buttermilk Ranch Dressing as seen in the video.